I guess a one pound, 13 ounce can of peaches has three whole peaches in it? Otherwise, six tablespoons of corn flakes won’t cover it. And if you can get six servings out of a pint of ice cream, you’ve got better impulse control than I do. Heat oven to 375 deg. Drain peaches, reserving 1/2 c. liquid. 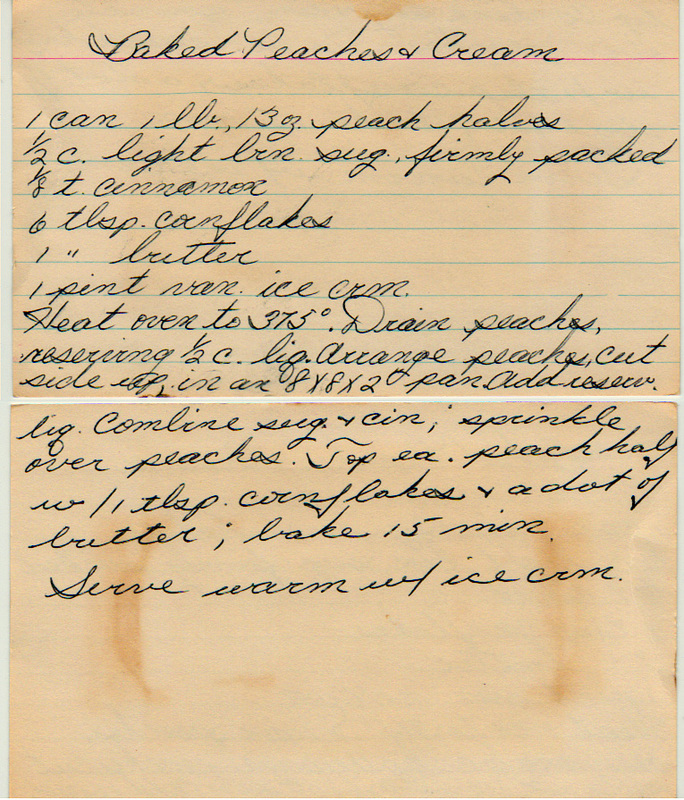 Arrange peaches, cut side up, in an 8x8x2″ pan. Add reserved liquid. Combine sugar and cinnamon; sprinkle over peaches. Top each peach half with 1 Tbsp. cornflakes and a dot of butter; bake 15 minutes. You can find the sweet dough recipe here. I think the oats would give these rolls a nice texture. The “usual instructions” for sweet dough are here.